Mountains of student loans are what most people think of when it comes to paying for college. Student loans are a source of funding for most students but they should actually be your last option. Student loans accrue a lot of interest and take years to pay off. In fact, a study from the OneWisconsin Institute finds that it takes graduates of Wisconsin universities 19.7 years to pay off a bachelor’s degree and 23 years to pay off a graduate degree. Knowing that students loans will likely be a source of funding, there is still an order of operations to follow when seeking out funding sources for college. After reviewing your financial aid award notification, you’ll have to think about how you’re going to pay for school. In this article, we’ve provided the main groups of funding sources. Start with the top group and work your way down to the last (i.e., worse) option, which is student loans. By following this guide, there’s a chance you can reduce the amount of student loans needed to finance college. 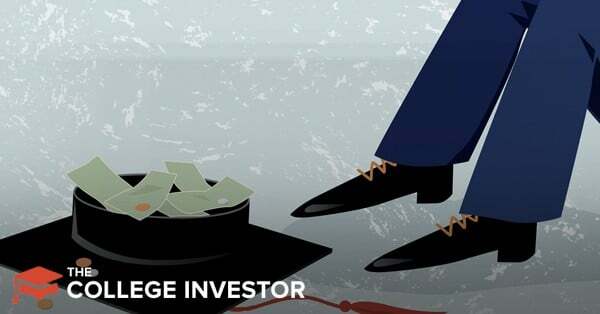 For a lucky few, they may find student loans are not even necessary. Here’s our take on the “best’ order of operations to pay for college. It’s important to note that this is more like a “pie” than a strict order. The more you can contribute from the “earlier” slices, the less you’ll have to borrow. And there is no “strict” rules here – but you should definitely use free money before other funds. Gift aid is part of your financial aid award. This is money that does not have to be paid back. It includes grants, scholarships, and any source of private funding that doesn’t require you to pay it back. Of course, it depends on getting your FAFSA submitted on time. Some students might realize a large amount of scholarships and grants. Others might not be able to get as much. Don’t forget to apply for private scholarships and grants as well – don’t just depend on your school. This sounds crazy, but I recommend high schoolers apply to at least 50 scholarships. ​​​​​​​​Saving for college requires planning. If you’re one of a small group who has accumulated money for college, it’s time to put it to work. Maybe you’ve been saving your graduation money, or you’ve received birthday funds over time. Maybe grandma even left you some money to pay for college when you were younger. If you have your own student savings, using it to pay for college is a great first step. Additionally, using your current income will help cut down on any loans you might need. If you don’t have any savings, use what you can from current income to help fund college. A lot of people forget that they can earn money before going to school (i.e. the best summer jobs for college students), or even work full time during school. I personally worked full time while going to university. I worked five days per week – Monday, Wednesday, and Friday nights, and during the day on Saturdays and Sundays. I tried to schedule my classes for Tuesday and Thursday, or if necessary, before work on the other days. Don’t know about ways to earn as a student? Check out our 100+ Ways To Make Money In College. Next on the list is any money your parents may have put aside for school. This could be in the form of a 529 college savings account, or other savings vehicle. Many parents have started saving for college for their students at a young age. Leveraging money in a tax deferred plan like a 529 savings account can be a great way to pay for the majority of school (if the money is there). Parents might also have other savings set aside for their child. It’s important to have conversations about parental contributions early, so that everyone involved in the “paying for college” debate knows what to expect. Along with a student’s income, a parent’s income is also a primary source of paying for college. Even if parent’s have saved very much, they may be able to contribute a little bit towards the cost of college every year simply through their current salary. Some parents may be able to contribute much more than others, but every little bit that can be sent in to avoid borrowing for school is a huge win. If you are attending graduate school, a fellowship is a great source of funding. It is awarded to graduate students based on merit. It allows the graduate student to focus on their studies rather than having to work or teach. Fellowships do not have to be paid back. They also look great on CVs and carry a certain cachet. “It’s basically the Harry Potter scar on your forehead indicating you’re an amazing scholar,” stated Meredith Drake Reitan, associate dean for graduate fellowships at the USC Graduate School. The takeaway: don’t think you aren’t qualified for a fellowship. They are certainly worth applying to. Speak with your educational counselor or advisor about how and which ones may have the highest potential for successful acceptance. We continue down the list and come to work-related programs that are meant to provide a flexible schedule around your classes. At this point, you’ve exhausted all forms of funding that don’t require work exchange or loans. We’re now moving into funding sources that will require some sort of payback. Work studies are common on college campuses. These programs are usually tied into your financial aid award. They allow you to work on campus within a flexible schedule. Pay is usually minimum wage, but you can’t beat the flexible schedule provided by these programs. While it is a smaller source of funding, depending on your class schedule, it might be the only type of job you can take on. Assistantships are usually reserved for graduate students. These programs are similar to work studies except they are teaching positions. Often the student will teach lower-level classes in areas they are very familiar with. We’ve come to one of the last option as a source for funding college. This is money that must be paid back, will accrue interest and often has some type of origination fee. For many students, it’s difficult to avoid taking on loans. In regards to loans for college, you aren’t likely to find a better deal anywhere else. Don’t believe us? Check out the Best Student Loan Rates here. Private loans are another and final option. These may be loans from banks or other lenders that are non-government. They will have higher interest rates than government loans and won’t provide the same advantages such as hardship, forbearance, and fixed interest rates. Private student loans should really be a last resort, and before borrowing, you should really do a full Return On Investment Calculation of your college expenses to even see if college is worth it. You can also see the full list of private student loan options here: Best Private Student Loans. Paying for college can be a challenge. It’s a huge sum of money, and there are a lot of different ways to go about it. I like to think about it as a pie – each one of the steps above is a slice, and you can try to make some bigger to minimize others. The bottom line here is that you don’t need to borrow the entire amount for school. 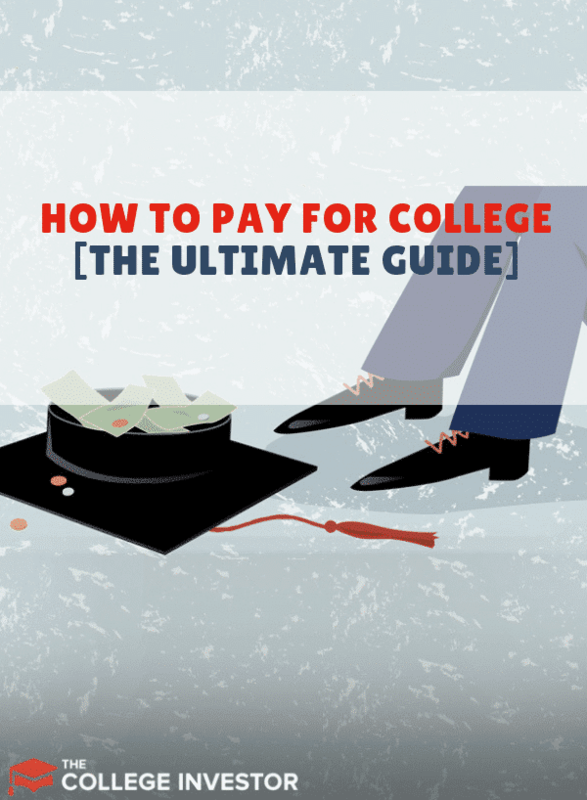 There are many different ways to pay for college if you work at it. The post How To Pay For College: The Best Order Of Operations appeared first on The College Investor. Review: What is 5K Publishing PayDays? Is It a Scam?